No other sport, and indeed few other activities evoke as much passion as does baseball. It is a passion that unites generations and genders, laborers and lawyers, Republicans and Democrats. Baseball serves as a common language, a unified way of perceiving the world, a means to greater understanding. Baseball’s shrines, rituals, myths, and heroes certainly give it a religious aura, but many activities may be pursued “religiously.” Baseball is beyond religion. It is a living myth that puts us in touch with Eternity, with the Infinite. Its Miracle is not some long-ago act that contradicts the laws of physics. Its Miracle is the scrubbing away of cynicism to reveal the fresh-faced child within who is ready to believe, eager to believe, who does believe. 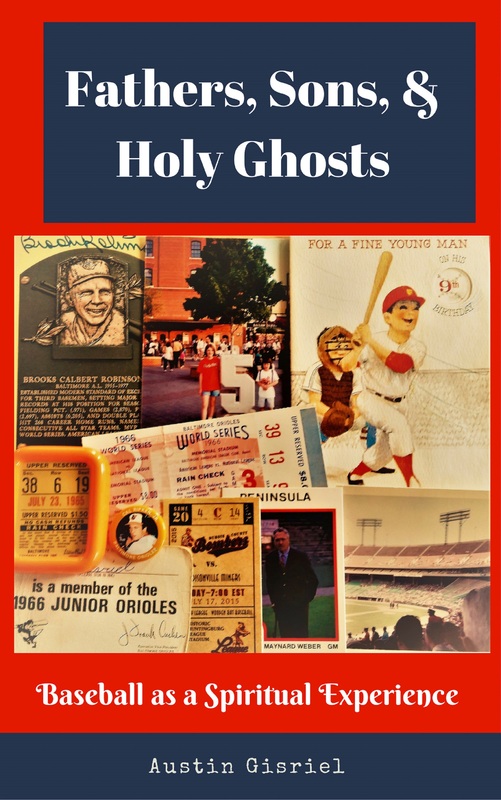 Fathers, Sons, & Holy Ghosts: Baseball as a Spiritual Experience is an examination in memoir form of how baseball nourishes the spiritual side of those who are part of the game. Readers in the Winchester, Virginia area may purchase copies at the Winchester Book Gallery on the Old Town Mall. Click here to download to your Kindle for $0.99. Click here to download to other e-readers (or you can visit your e-book store of choice) for $0.99. Click here to order the paperback for $5.49 + shipping. If you enjoy baseball and a book that delivers the pitch, this book is for you. There are more than a few examples of faith, mindfulness, reason, psychology, spirituality, superstition, humanity and heartfelt accounts of baseball and its numerous connections to life. Very enjoyable!~~Dave Norman, former Baltimore Orioles beat reporter for WBAL radio and current webcaster for the Harrisonburg Turks of the Valley Baseball League. I thoroughly enjoyed reading this book! It’s smart and funny and touching and very deep. I will never think about baseball the same way again.~~Christine Ranck, author of Amazon #1 best-seller, Ignite the Genius Within. Q & A with Hagerstown’s Herald-Mail. 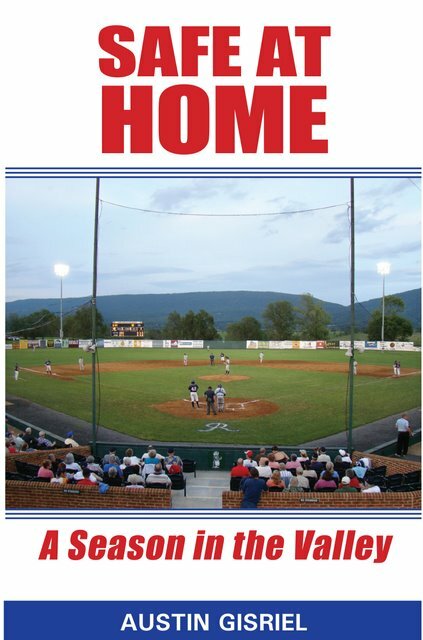 Safe at Home: A Season in the Valley is available in both soft cover and e-book form. For a signed copy of the former, contact Austin via e-mail at agisriel at yahoo dot com. Cost is $20.00 which includes shipping. To download to a Kindle reader visit the Kindle Store. To download to any other e-reader click here. Austin Gisriel has written a very interesting book about the progression of a baseball season in a small community, New Market, Virginia. Becoming better players and better people from the values learned on the field and in that community is the essence of this excellent book.–Tom Petroff, a member of the American Baseball Coaches Hall of Fame, has taken two different teams to the College World Series in Omaha. Talk about bringing back some great memories of my time in the Valley League! This wonderful book tells of the passion that many of us have shared as we chased our baseball dreams in the beautiful Shenandoah Valley. A must read for the baseball fan who appreciates small towns producing future stars!–Lorenzo Bundy is an instructor in the Los Angeles Dodgers’ minor league system and has served as a coach with the Marlins, Rockies, and Diamondbacks. He is also a former New Market Rebel (1978-1979). 3 Tales From the Grand Old Game is a trio of short stories that will be enjoyed by fans both old and young. “I Love it Here in Indiana!” (5,700 words) demonstrates the lengths to which three friends will go in order to fulfill the final request of their baseball Yoda, Max McGowan. They have promised to scatter his ashes on the diamond where Max managed decades ago, but tracking down the correct field–and keeping track of the urn that contains Max–is not as easy as it seems. [Includes a link to a video on the person who is the inspiration for the character of Max.] “Spot On” (6,800 words) examines the desperation and self-doubt that arises in Trent Tyler when he suddenly and for no apparent reason, develops an inability throw a baseball accurately. Trent struggles to overcome this throwing “slump,” but he knows that his problem is much deeper than a mere slump. Willing to fake an injury to explain his rash of errors, the third baseman discovers that he needs help and not from a coach, either. “A Baseball Fan’s Fairy Tale” is just that. We’ve all dreamed of owning a big league team; long-suffering Oriole fan Larry Koobish, along with a million friends finds a way to make it happen. To download to a Kindle reader, visit the Kindle Store. To download to any other e-reader click here and scroll to the bottom of the page. Their Glorious Summer is a free download and is now available through Amazon for your Kindle e-reader. Click here to download to a Kindle, and here for all other e-readers. [Article] The summer of 1981 was indeed a fateful one for several young men who played collegiate summer ball in the Valley Baseball League (VBL) in Virginia’s Shenandoah Valley. For a trio of players on the New Market Rebels, it was the beginning of a journey that would see them enjoy lengthy major league careers. For three players on the Winchester Royals, Fate had seemingly propped open the door to legitimate dreams of future seasons in the big league sun as well, but 1981 would be the pinnacle of their baseball glory. It was a summer in which the team with Dennis Clow and Steve Peruso and Clay Daniel bested the team with Tom Browning and John Kruk and Dan Pasqua. Clow, Peruso, and Daniel together totaled 11 minor league seasons. Browning, Kruk, and Pasqua each played in the majors for 10 years or more. Few would have predicted the degree of big league success for the Rebel trio. Browning was almost not allowed to return to the team, Pasqua was briefly dismissed from the team, and John Kruk, well “Johnny” did not fare well when he came up against a broom-stick wielding grandma after he accidentally spit tobacco juice on her carpet. It was the Winchester Royals, founded by Keith Lupton who would go on to be named the executive of the year three times in three different minor leagues, who were the superior team. Their determination, their ability to stage improbable comebacks, and most of all their talent made the 1981 Winchester Royals one of the great summer league teams ever assembled. Set as it was against the backdrop of the 1981 major league players’ strike, the story of the battle for the President’s Cup between the Rebels and the Royals epitomizes that mix of glory and poignancy that produces such passion in those who love the game. Cletus Elwood “Boots” Poffenberger was, in his day, baseball’s most colorful character and his day included the likes of Dizzy Dean and Lefty Gomez. 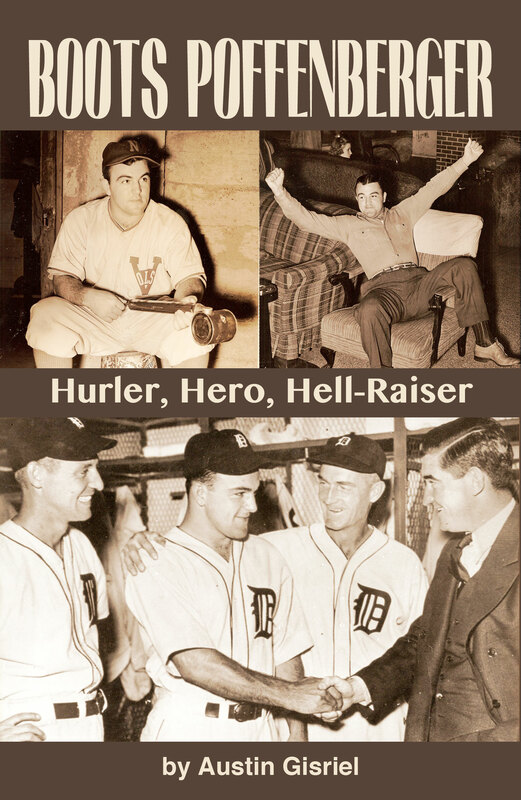 Author Austin Gisriel’s new biography, Boots Poffenberger: Hurler, Hero, Hell-Raiser, revisits the life and legend of the man who set the record for funny stories per innings pitched. Boots burst upon the major league scene in 1937, defeating Lefty Grove in his debut and compiling a 10-5 record his rookie season. The stocky right-hander was just too eccentric, however, to last long in the big time. In an era when day games were the norm, Boots took to the night life. He was not donned the “Prince of Pilsner” for nothing. Sober or tipsy, Boots simply had a different way of looking at life. When Detroit questioned why he couldn’t lose weight during spring training in 1939, he replied that it was management’s fault. They were making him get up at 8:00 which necessitated breakfast AND lunch. If they would let him sleep until 1:00 in the afternoon as he wanted, he could skip a meal. Boots’ colorful career coincided with baseball’s most colorful era when every town in America had a team and even major league cities boasted several semi-pro squads. Boots played for his hometown Williamsport Wildcats, for the semi-professional Bona Allen Shoemakers, for the major league Detroit Tigers and Brooklyn Dodgers, and for a host of minor league teams including the vaunted 1940 Nashville Volunteers for whom he won 29 games. When World War II erupted, Boots joined the Marines, where he pitched for a powerful Parris Island team and after his transfer to overseas “duty,” he pitched for Marine Corps teams in Hawaii. Despite his peculiarities, Boots was adored by fans, teammates, and coaches. He lived his entire life in his home town of Williamsport, MD, where he is beloved to this day by all who knew him. Fascinating story and well told. Touches on the wonderful atmosphere surrounding small town America during baseball season. 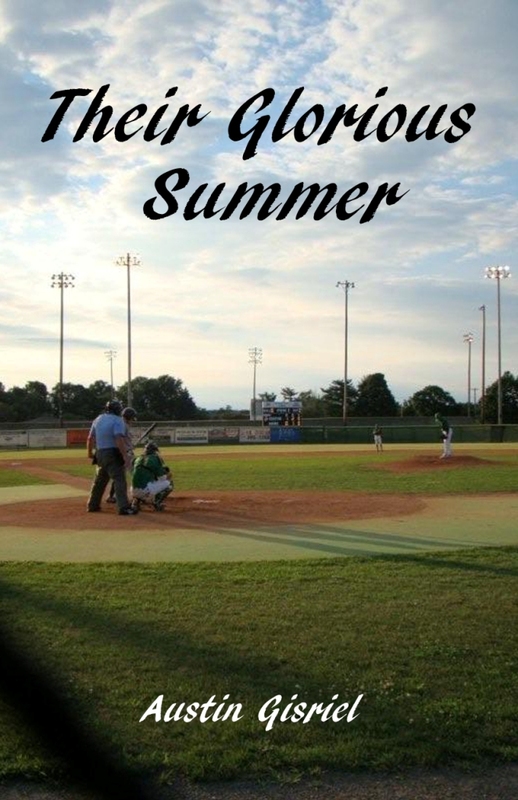 Must read Austin’s “Safe at Home” for a comprehensive understanding of what goes on in the lives and minds of the players and townspeople at this glorious time each summer. Thanks so much, John. That means a great deal coming from a former Rebel (1965-66)!